Masùt da Rive producer page (Vignaioli). The following has been translated from the Italian version of the Masùt da Rive website. 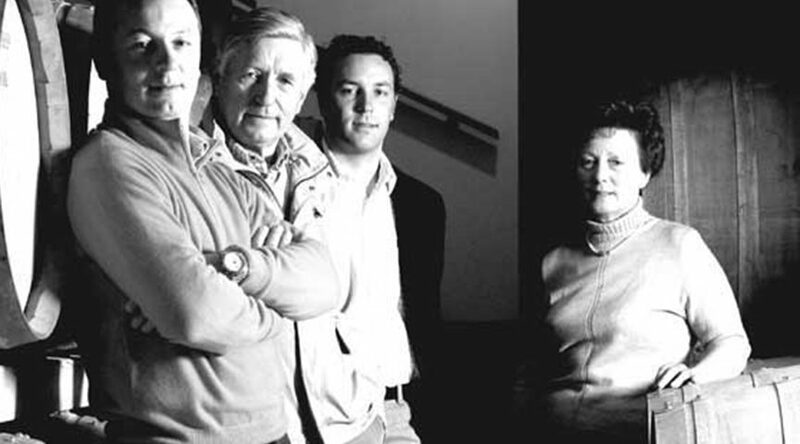 Handed down from father to son since the beginning of the 1990s, the Masùt da Rive winery represents the legacy of four generations of their family who have guided their business since the beginning, now marking more than 100 years as winemakers. Masùt da Rive is the name the Gallo family has chosen to represent them. It comes from the historic name that the family was known by in Mariano del Friuli (Gorizia province), the small rural village where they still live. After beginning to work at the winery in 1975, it was Silvano Gallo who transformed the family’s estate from ranching to winemaking. Making a leap in quality, he started to vinify single-grape wines and began selling the wines to top restaurants. In more recent years, his sons Fabrizio and Marco Gallo have continued in his footsteps, rising to the challenge of making quality wines and believing wholeheartedly their family’s fantastic passion for winemaking. It’s taken great sacrifice and commitment to reach an important goal of their fathers: To share their estate-grown and family-made wines with the world. It’s a challenge that they embrace with the same passion and devotion with which the estate began. Masùt da Rive has always made respect for the vineyards a cornerstone of its winemaking philosophy. Today, the family works even harder to protect the land as the mass production of wines seems to have placed quantity over quality. The Gallo family has always believed that wines are made in the vineyard and not in the cellar. They consider the vineyard to be a “garden” and as such they take care of it appropriately: No herbicides or other weed killer is used. Minimal intervention is applied in the vineyard and all work is done by hand so as to protect the environment. Fertilizers are not used every year and so as not to “force” the vines, only organic fertilizer is used when it is applied. Masùt da Rive is not a certified organic grower but it attempts to achieve precision and quality in winemaking by limiting all treatment of the vines to the bare minimum necessary. In doing so, it obtains healthier and better-quality grapes in terms of the flavor profile of the wines. The date of harvest is determined based solely on the phenolic ripeness of the fruit and not the sugar content. The grapes are picked by hand and only in the morning as so to deliver them to the cellar, where they will be sorted, at a cool temperature, thus ensuring their quality.